XMedius SENDSECURE is a global leader in the field of secure file exchange for businesses. With XMediusFAX®’s suite of on-premise and cloud fax solutions, all your document processing needs are covered. The XMediusFAX app for devices built on Xerox® ConnectKey® Technology is your answer to easy, hassle-free faxing! Quickly enable a reliable, secure, simple and scalable Fax Solution. Download XMediusFax brochure to learn more. Virtual Fax—XMedius as a global fax industry leader with XMediusFAX, is now offering a turnkey fax solution as part the of Xerox ConnectKey Technology ecosystem. This virtual fax kit solution is compatible with and accessible from a wide spectrum of Xerox Multifunction Printers (MFPs) and does not require any fax board, parts and service labor. Xerox ConnectKey Technology—The XMediusFAX app enables end users to send or receive faxes directly from a Xerox ConnectKey-enabled MFP or as an option through an email application (Microsoft Outlook, etc.) or a Web page from basically anywhere in the world! Secure Document Sharing—XMediusFAX app users can now send a mobile fax directly from their iPhone, iPad, or Android device. The fax app is perfect for sending pictures of sensitive documents immediately upon signature from anywhere, at any time. The app is available for free on the App Store and Google Play. Simplified—XMediusFAX app simplifies and eliminates the burden associated with installation, configuration and maintenance of fax kits by providing access to a redundant, high-availability faxing solution. The XMedius SENDSECURE app for devices built for Xerox ConnectKey Technology is your answer to hassle-free transfers! Quickly enable a reliable, secure, simple and scalable secure file exchange solution with a built-in audit trail function that helps you keep in compliance with today’s strictest regulations. Download XMedius SENDSECURE brochure to learn more. Secure File Exchange—XMedius SENDSECURE is a collaborative secure file exchange software that’s easy-to-use, allowing you to send and receive files up to 5TB. With robust security features such as double encryption and two-factor authentication (2FA), you’re guaranteed that your files will get to the right recipient every time. Xerox ConnectKey Technology—The XMedius SENDSECURE app enables end users to securely send documents directly from a Xerox ConnectKey-enabled MFP or as an option through an email application (Microsoft Outlook, etc.) or a web browser from basically anywhere in the world! Simplified—The XMedius SENDSECURE app simplifies your IT infrastructure by eliminating the burden associated with complicated hardware and software installation and maintenance. SENDSECURE is an integrated, highly secure, and easy-to-use file exchange platform with unmatched auditing capabilities to enable compliance with strict industry regulations surrounding privacy when exchanging data. 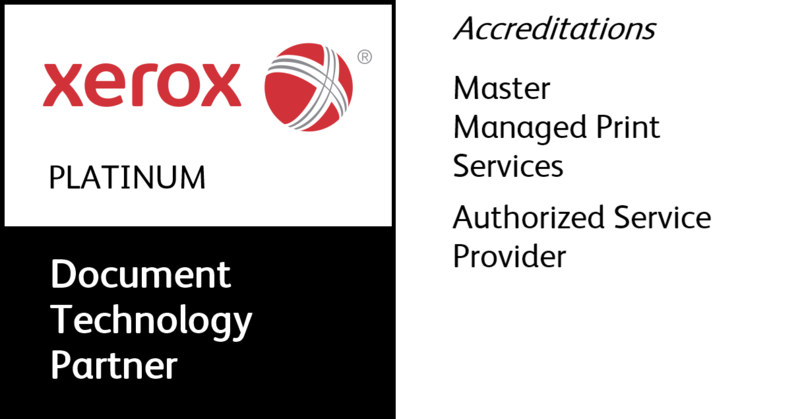 XMedius is a global leader in the field of secure file exchange for businesses. With Xmedius’ suite of on-premise and cloud fax solutions, all your document processing needs are covered. XMediusFAX and XMediusSENDSECURE provide the security, audit and document retention required in today’s workplace. Do you need to economically deliver fax services to knowledge workers anywhere, at any time, with any device, even as fax volume drops? XMediusFAX eliminates all Fax kits, reduces analog fax lines (up to $80 per line), allows faxing without printing the document first or walking to the MFP and can deliver incoming faxes to any Internet connected device. XMediusFAXreduces printing cost and increased productivity (up to 90%) while providing enhanced document security, secure delivery, storage and easy retrieval. Do you have sensitive faxes missing or left on the devices output tray? XMediusFAX can automatically route a single fax to multiple destinations such as one or more e-mail inboxes, printers, shared or private folders or workflow applications. XMediusFAX can provide an audit trail to provide enhanced security and eliminate lost faxes. Would you like to reduce or eliminate printing spam faxes (spam faxes account for nearly 20% of company fax receptions)? XMediusFAX can reduce fax related expenses by up to 20% by eliminating wasted printing. XMediusFAX can create filtering rules triggered by various criteria, just as they do with e-mail. This includes blacklist words such as “cruise” or “cell phone.” Whitelists can also be created to ensure that appropriate faxes reach their destinations. Does your company exchange sensitive files, including HIPPA, FERPA, GDPR and SOX? XMediusSENDSECURE provides a reliable, secure, simple and scalable secure file exchange solution with a built-in audit trail function that helps you keep in compliance with today’s strictest regulations.